Hey babes! Happy Monday! Spring is in the air! And what does that mean?! Shorts Season! I've compiled a list of great shorts that are a little different from just the plain jane denim. Love to spice up my shorts looks! Check out my finds below! I'm obsessed with the Leopard Pair and the Camo. Which pair is your fave? 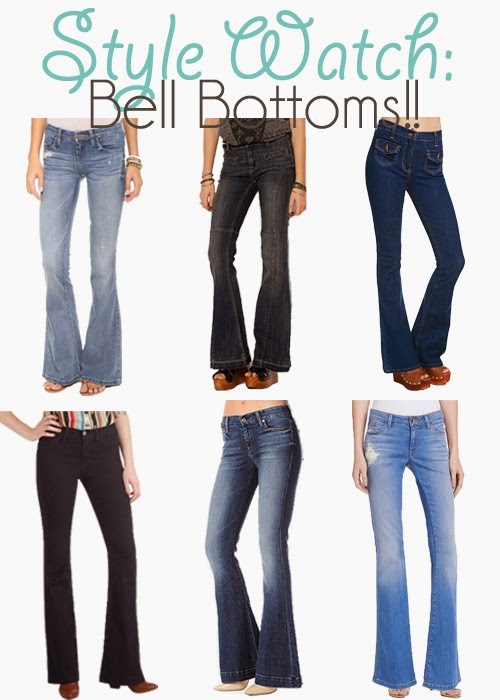 Style Watch: Bell Bottom Jeans!! Hola babies! Welcome to a new week! This Style Watch is dedicated to Bell Bottom Jeans. All the rage in the 70's this style is still hot! From Dazed and Confused to the always impeccably dressed Rachel Zoe---I'm loving the style! A great pair of jeans is always a go-to when wanting to feel casual but still put together. Check out my finds below! Hola Loves! Happy Mid-Week! So glad the weather warmed up a bit so I could get some outfit photos taken! Been rocking out to Let It Go from the Frozen Soundtrack---don't hate! Hahaha I haven't seen the movie but now I really want to!